The building will include a "state of the art" dining facility to serve the company's 1,200 associates who will be moving to 2400 Market, as well as spaces for collaboration and a fitness center. 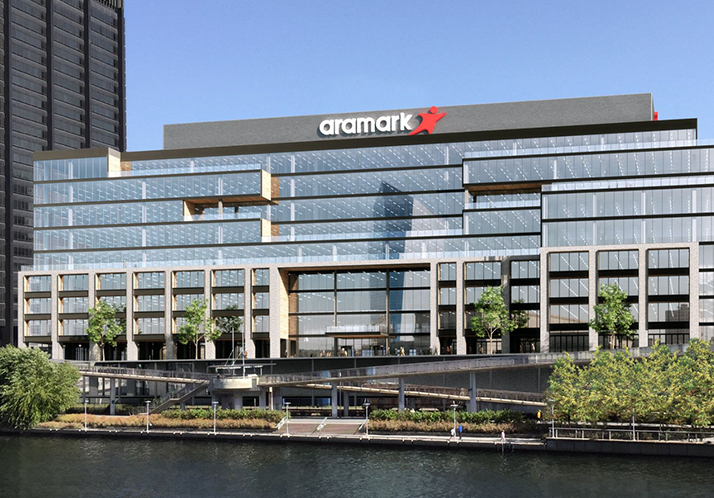 The plan also calls for 8,000 square feet of outdoor terraces, in response to Aramark's green goals. Dean Adler, CEO and Co-Founder of Lubert-Adler, has observed, "2400 Market is the gateway to Philadelphia," referring to the property's position across from University City, 30th Street Station, near Rittenhouse Square, the Central Business District as well as near Interstate 76 and the Schuylkill Expressway. "This is one of the most ideal locations for any type of use. It is in the heart of two places that are exploding and you're at the epicenter of town."